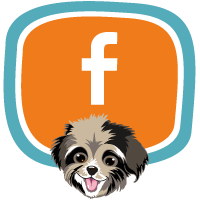 To Dog With Love: Welcome to K9 Kamp Summer Session 2014 #Giveaway! 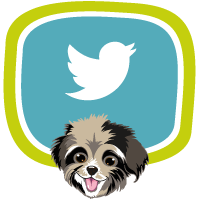 Welcome to K9 Kamp Summer Session 2014 #Giveaway! Welcome back Kampers! 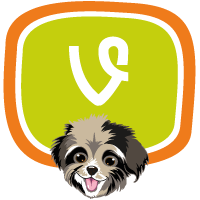 We can't believe it's already time for the summer session of K9 Kamp, the virtual camp you can enjoy with your pup from anywhere! We're so excited to share lots of big news today. First, of course, is that it's the opening day of K9 Kamp and we have one HUGE giveaway, chock full of items to help make playtime fun for you and your pup! Be sure to read down to learn more about each item in the giveaway below. 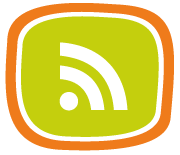 And then enter for a chance to win on the giveaway widget at the bottom of this post. We can't wait to see all the fun games you all play. And if you don't have a backyard, there's still plenty of fun to be had right outside your front door. My next bit of news is that I'm so excited to share that I'm now officially certified as a K9 Fit Club Trainer! That means I've passed the K9 Fit Club certification and will start teaching classes in the Atlanta area soon! It's all a natural progression of the fun and fitness we already enjoy with the pups in our lives. 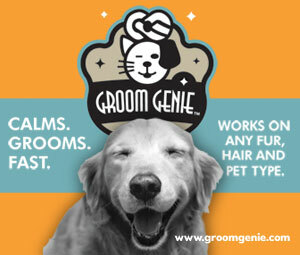 Only now, you can take your dog with you to work out … and they get some exercise and bonding time too! If you're in Atlanta and interested in classes, please let me know and I'll get you more details. And you'll likely see some of our K9 Fit Club exercises show up in our upcoming posts! The Biggest Ever K9 Kamp Giveaway! Our generous K9 Kamp supporters have provided the best Prize Pack ever to help you enjoy your backyard games even after K9 Kamp is over. Here's a look at what one lucky K9 Kamper can win! As you know we love to train and compete in agility. But even if you never have aspirations to compete, agility is a great way to bond with your dog and you both get exercise too! I also find it helps improve memory as you learn the patterns of various courses. 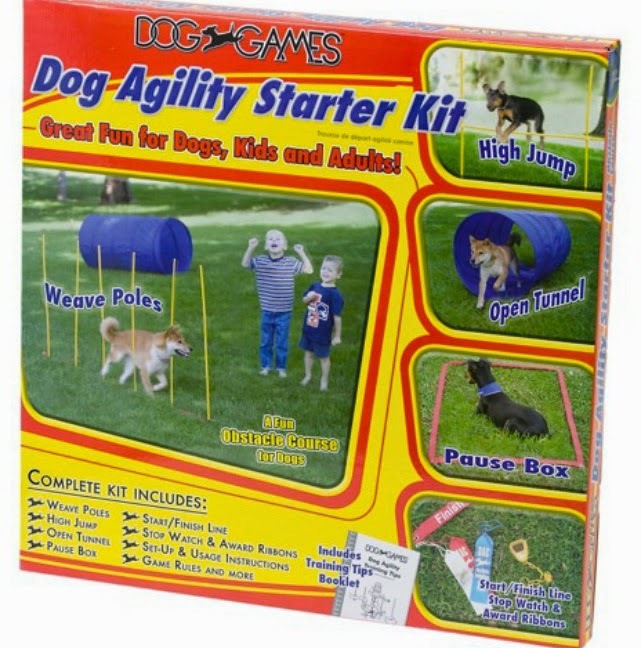 To get started, we love The Kyjen Dog Agility Starter Kit, donated to our K9 Kamp prize pack by Petco. The kit includes six weave poles, a jump, a short tunnel, pause box, start/finish line, and it even comes with a stop watch and three award ribbons! In order to enjoy the fun and games in life to the fullest, it'll benefit any pup to work on balance, strength and endurance. Exercises on the K9FITbone help to develop strength, endurance, proprioception (body awareness), balance and flexibility. And besides, we think it looks cool too! 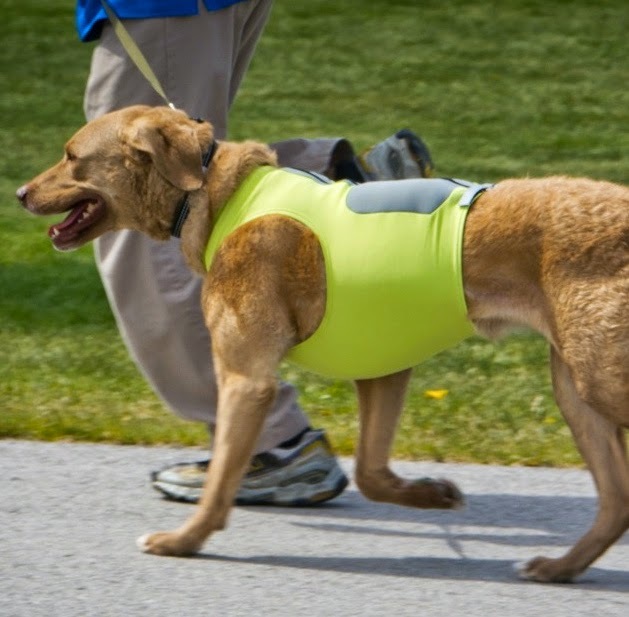 The K9FITvest dog fitness vest helps to improve strength, speed, performance and body awareness. Both the K9FITvest and K9FITbone are being contributed to the prize pack by DogTread. Rocco loves to drink out of his fountain and we hope your dog will do, because hydration is so important to help keep your pup healthy and fit. The Drinkwell Pagoda Fountain is made from porcelain and continuously recirculates 70 ounces of fresh, filtered water. It's easy to clean and looks great in your home! 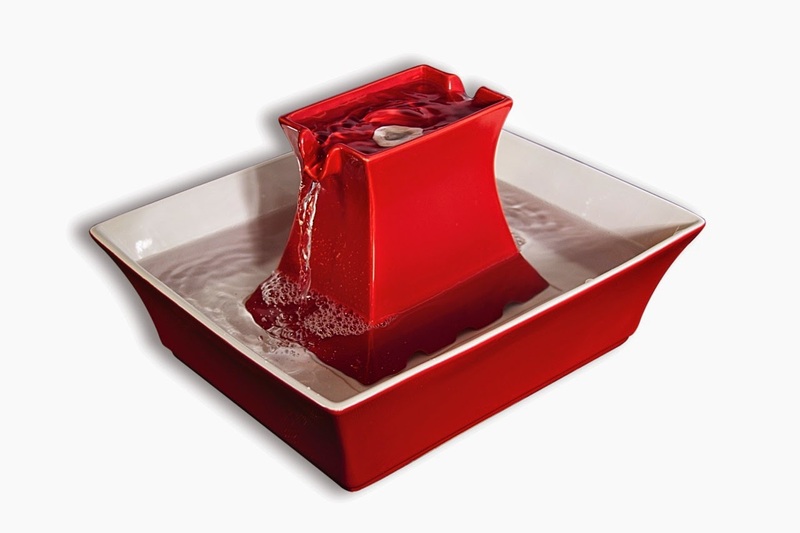 The upper and lower dishes provide two drinking areas for pets, and the patented dual free-falling streams aerate the water for freshness, which encourages your pet to drink more. 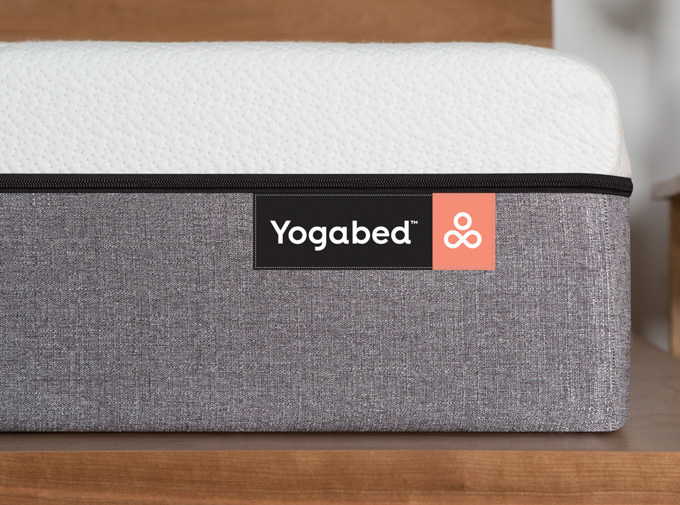 Thanks to PetSafe for providing the Pagoda Fountain to our prize pack. 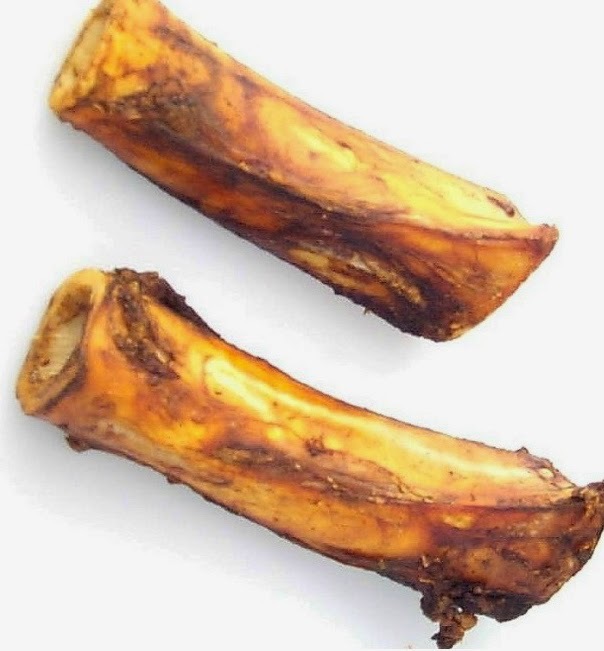 From our pals at Jones Natural Chews, this center bone is marrow filled, with meaty bits clinging to it, dipped in natural liquid smoke before being slow baked to perfection. The 7" Center Bone is in the top 10 of dog favorites and is perfect for medium to large dogs, or more aggressive chewers. All Jones Natural Chews are made in the USA. After a job well done, every good dog deserves a cookie. 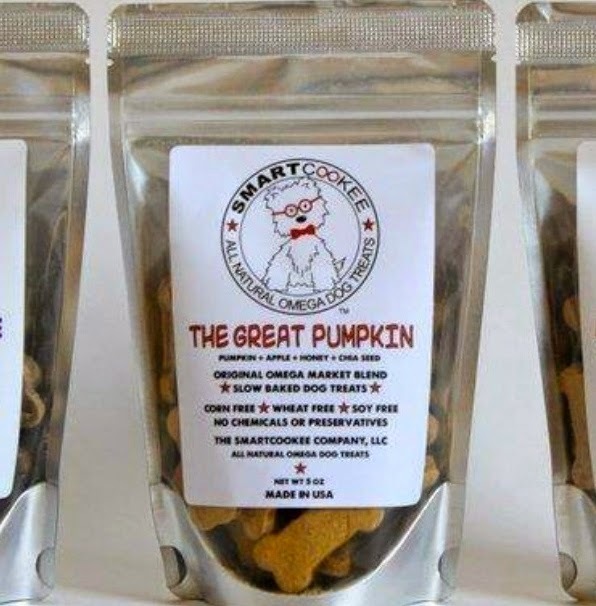 Smart Cookee is adding one package of its 100% All Natural Omega Dog Treats to the K9 Kamp prize pack. 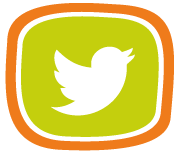 All Smart Cookee treats are corn, wheat, soy and gluten free and made in the USA. 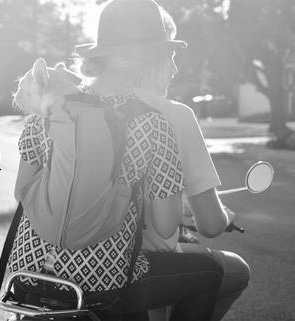 What to wear for both you and your pup! 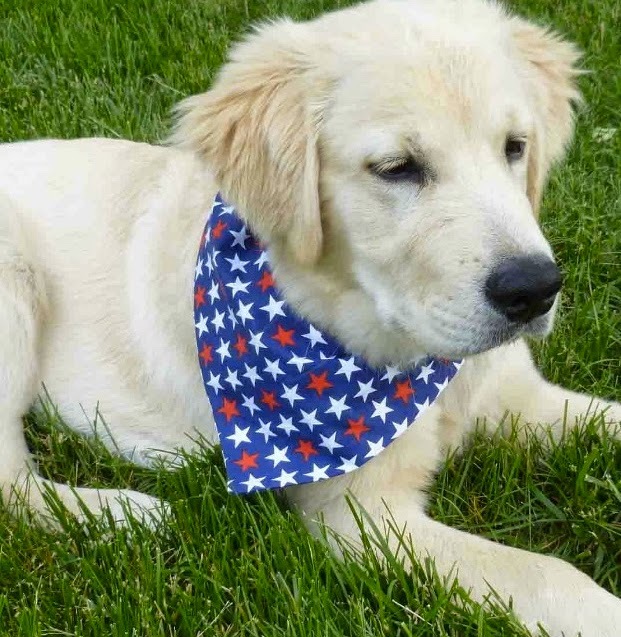 Donated by Collarific Dog Bandanas, these clever bandanas slide over your pet's collar. The reversible bandanas include a fully lined collar channel with reinforced seams for extra durability. Collarific specializes in designs suitable for large dogs, and their "Ruff Rating" helps you choose the right fabric style. And finally, just for you… this woof worthy pendant from For Love of a Dog is perfect for any dog lover! 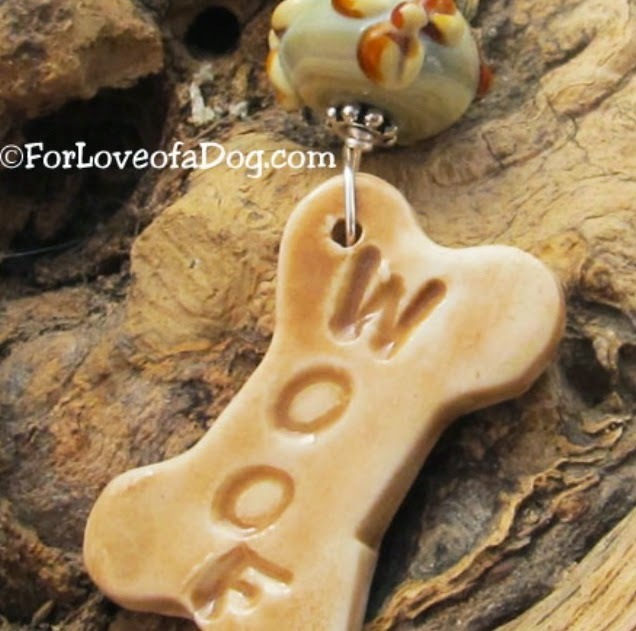 A handmade porcelain dog bone proclaims WOOF and dangles from an artisan lamp work floral bead in shades of carmel, brown and tan. Hand wire wrapped with silver jeweler's wire with a silver bale. Perfect to wear on your own necklace, cord or ribbon. Length is 2 1/2 inches. Special thanks to all our prize pack contributors: Petco, PetSafe, DogTread, For Love of a Dog, Jones Natural Chews and Smart Cookee. The prize pack is valued at over $350! Wow! That's a whole lot of backyard fun and fitness for one lucky pup and human! Remember to enter for a chance to win on the giveaway widget at the bottom of this post! 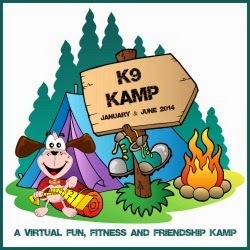 Kamp runs from June 27 - July 18 with the K9Kampfire Blog Hop on July 25. 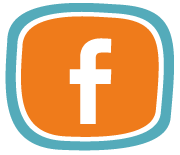 That's where you'll link up your posts about your own backyard fun and fitness games. As always, K9 Kamp will run alongside FitDog Friday, so you can feel free to post about your games at anytime during the Kamp session! 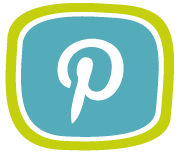 Your K9 Kamp coaches are Peggy's Pet Place, SlimDoggy and us! 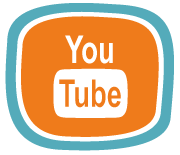 So be sure to check out our co-coaches to see what kinds of ideas they have for backyard games. And, if you'd like to post a photo of your K9 Kamp activities just tag it with hashtag #K9Kamp so we'll be sure to see it! 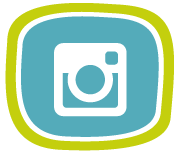 Insider hint: If you post it on Instagram and tag it #K9Kamp, we'll feature your photos here on a K9Kamp slideshow! I love doggy playtime in the backyard- chase, tug, fetch- but long walks are what always make me and the dogs smile the most! We love our walks too. Welcome to K9 Kamp! We're going to have some fun! We enjoy swimming together - great for bonding and exercise! And a good excuse for a bath afterwards :-) thanks so much for this pawsome giveaway! hehe! We're really looking forward to more swimming this summer too! I've gotta admit, this is a great prize pkg this year, thanks to our awesome sponsors! We're going to have fun at Kamp! I'm excited about it too! We're looking forward to good times at Kamp! We LOVE to play recaller games, especially ones with tugging! Good one! Happy FitDog Friday! Our favorite activity is playing ball. My dog loves to fetch, although he tries to catch the ball in the air, he still needs some practice with that. Cool! Catching the ball in the air sounds like a fun think to work on! Good to see you at K9 Kamp! We may try to spend time in a pool too! Great Prize package and I can't wait to see the post about the K9 Fit club trainer. I didn't even know there was such a thing. K9 Fit Club started in Chicago and they're expanding now. I love the idea of working out with your dog to help the human get fit too! They've had great success stories with people who've really transformed themselves with the help of their pups! We love to swim, go for long walks, and play with toys. Swimming sounds really good about now! Too hot! So cute! I know what you mean. Rocco loves to swim with his short legs too! Oh fun! We have jumps and weave poles, and a short tunnel. Not much room for much more! We love to play frisbee. It is our favorite game. We also like to swim in the pond and go trailriding with the horses and mules. There are too many fun activities we do together and there are lots more that we'd like to try together too! Just a few would be learning tricks (we had fun trick training sessions this morning), playing fetch, swimming, and going for walks. Those first few prizes look AMAZING! Would love to win those to play on and help with our conditioning for dog sports! Fun! We love learning new tricks too. Good luck and happy FitDog Friday! What an awesome giveaway - so much great stuff! We're going to try to come up with some fun new backyard games, as a change from our usual fetch. Congratulations on your certification! I look forward to reading more training tips from you. Thank you! Can't wait to see the new games you come up with! Congrats on your certification. I looked but there doesn't seem to be any near us. Thank you! 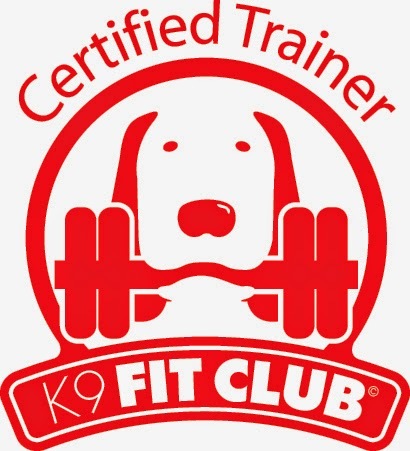 K9 FitClub started in Chicago area but they're starting to expand now slowly. We think it's going to be a blast! Taking walks in town. We live in a town that is hilly so it's great exercise to go for walks. Hills are a great way to get more out of your walks! We've got plenty of them too. It is too hot in Vegas to do much outdoors with the dogs in the summertime, but one loves to play in the water and begs for it every day. The way he does it, it is more exercise than if he were walked for a mile. I bet the water's the best place to be in Vegas in the summer. That's where I'd be! My dogs love to run along with me when I ride the bike trails that are in the woods on our property. We also love swimming together and visiting the dog park. We're looking forward to doing more swimming this time of year. Have fun! Congrats on your certification! I bet it's going to be a lot of fun. Our favorite activity is hiking of course. We plan to do a lot of paddleboarding this summer too. Paddleboarding looks like fun. On our hike last weekend, we met pup who was paddle boarding with his family! My favorite activity with my dog is agility. Thanks pal! Have a great weekend! I love doing dog agility with my Poodle boy! Snuggling is our favorite activity! we love taking them swimming with us! We like to go hiking together. My two dogs and I curl up every night in bed and sleep like a pack. I never know where they will be in the morning. Congratulations on being an instructor! That is great! We love K9Kamp, hope lot of dogs participate! I love going for a long hike with them or just letting them play in their wadding pool. Sophie loves to go for walks all around the farm. My favorite activity to do with the dogs is taking them to the mountains and hiking the trails. Kenzie and I love our walks--a our favorite thing to do is chase each other while doing figure 8s.... Oh, and then there's zooming after squirrels.... And while we are supposed to be walking! Ethel and I enjoy walking- the fun of the elderly. I like to go to fundraisers with my dog. We've attended dogapolizza, bark in the park, the pooch walk and other events. We have two dogs and we love to go mud crawling, they love to ride in the Jeep. Puddle puppies. Congrats on your news. That is really wonderful! I love taking my dog to the park and sightseeing in the car. 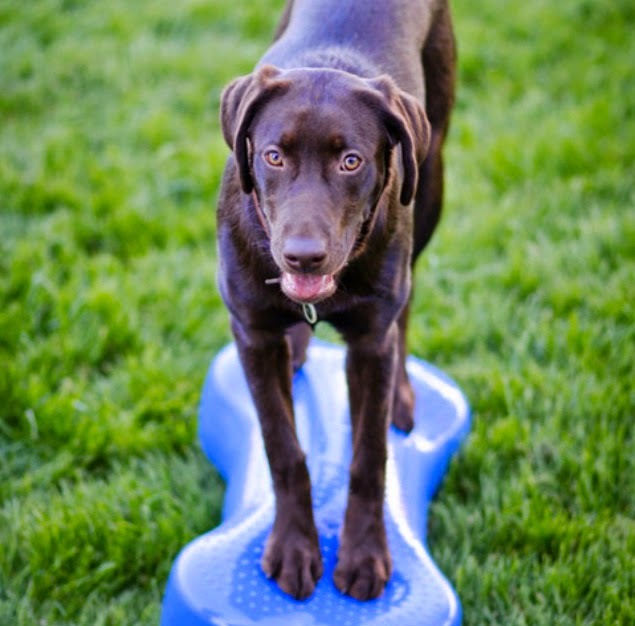 I love doing agility with my dog, and these fitness items are an awesome giveaway! my favourite activity is chillin' with the dogs. My husband rides mountain bikes and I "leash the beasts" and we walk/turtle jog while he rides. We see each other several times on the trails (much to the delight of the digs - and me). It makes exercise a lot more fun! We love to go for long walks! Woof !! Woof woof woof !! Bean (a fifteen pound Boston Terrier) loves swimming with her best friend the 115 pound Rhodesian Ridgeback! My boyfriend takes our lab water fowling. He absolutely lives for that stuff...retrieving. I like taking my big dog for long walks. My favorite is taking my dog to the lake with me for the day to go walking and swimming. I love to play fetch with Rocky. He will play till he falls over, then it's snuggle time on the couch. My favorite activity to do with my dog is to play fetch with his favorite tennis balls. We have a great time playing fetch! I take molly to our local park and let her run free off leash. She just loves it and it keeps her fit. I love taking my boy for his morning walk. We have 4 dogs, and they all love to play ball, frisbee, fetch, etc. My favorite thing to do with my dog is snuggle on the sofa and watch movies. Our favorite activity with our dogs is Frisbee and walking. I love playing fetch with my dog, Igby! My favorite thing to do with our dog is take her on long walks. We just rescued her a week ago from the shelter, she had been there for 6 months, pretty much in jail. She loves being able to walk and walk and walk. We would have a blast with this prize pack! I love going on runs with him. We love to play fetch in the front yard and go visiting the neighbors. My favorite Activity with my Dog Junior is to play ball, he could play ball all day! I like to go on walks with my pup in the winter. I love walking my dogs down to the duck pond. Always people that love to come see the bulldogs. Thanks for the giveaway…our Yellow Lab loves to chase after tennis balls in the pool, lake, ocean, etc ! My favorite activity is bringing my dogs to the beach or the river for a water day! !